For those of you already in Alaska and planning to grow peonies or interested in investing in Alaska peony producers, this page is for you. We are happy to discuss the general aspects of peony production with you - if you need a more personal approach, contact us to set up a consulting appointment for a more in depth review of your growing situation. Peony farming IS farming, and farming IS work! More than your backyard garden but less than milking a herd of dairy cows. If you do not have the time to put into your fields and/or the money to hire help (and you'll still need to supervise), peonies may not be the crop for you. There are buyers across the USA and Canada, with expanding interest in Europe and Asia. So, the markets are there for peony cut flowers, but only Quality stems. Quality stems come from best farming practices from field preparation to post harvesting handling. One of the biggest mistakes we are currently seeing are new growers leaping in before they've really done their homework and fully understand the time, money and labor commitment needed for the peony plants to reach full harvest potential. Understand that it will take between four to five years, even in the best of conditions, for your plants to be ready for a full harvest. During that growing time, you will need to provide quality care to grow quality plants - including weeding, watering, fertilizing and best management practices for pests/diseases. Polar Peonies packhouse is located in the Interior, less than 10 minutes from the Fairbanks International Airport. 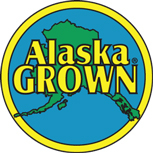 We grow, market and ship our own stems, as well as provide marketing and shipping services for other growers statewide. Contact us for more details. Take time to smell the flowers . . . .especially Alaska Peonies! !